Three women stand in front of the Gerald R. Ford monument and resting place. The inscription on the curved wall reads Lives Committed to God, Country, and Love; Gerald R. Ford, 1913-2006; Elizabeth Bloomer Ford, 1918-. 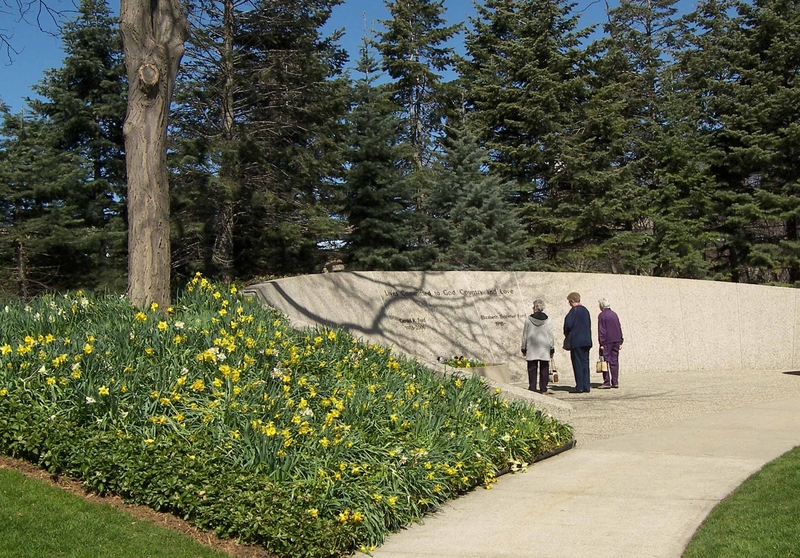 To the left of the photo along the walk is a field of blooming daffodils, and tall evergreens form a backdrop behind the wall. Title by cataloger. The monument is to the north of the Gerald R. Ford Presidential Museum and Library.